Until my recent retirement, I wrote professionally for over 45 years. Some of it was, I told myself at the time, not what I really wanted to be writing—articles for agency publications, informational materials, speeches for the agency director. It was “my day job” that I couldn’t quit because I couldn’t get anyone interested in my novels. Marketing news in the past two years has been grim. A publisher may LOVE your novel, but doesn’t think your platform is expansive enough. In other words, you don’t provide promise of sales. Many famous authors persisted in the face of rejection. F. Scott Fitzgerald once received a rejection letter for The Great Gatsby that read: "You'd have a decent book if you'd get rid of that Gatsby character." Jack London’s estate “House of Happy Walls” has a collection of nearly 600 rejection letters from his early years. 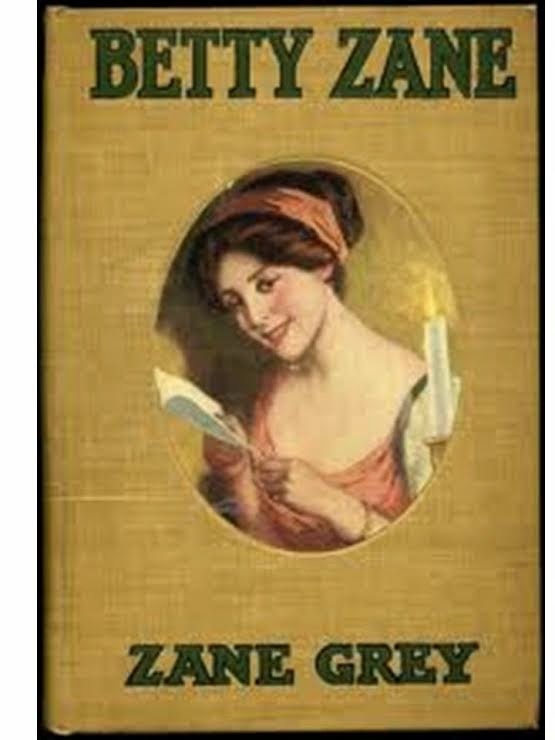 Zane Grey had difficulties getting his first novel, Betty Zane (1903) published. When it was rejected by Harper & Brothers, he lapsed into despair. He finally self-published it. Beatrix Potter sent her tale to six publishers, but was rejected by all of them. In September 1901, she decided to self-publish and distributed 250 copies of a renamed The Tale of Peter Rabbit. • After editing on the screen or in print, read your work aloud. You’ll be amazed at how many awkward sentences you can fix this way. • Attend as many writers’ conference and workshops as you can. These things can get expensive, so check them out for those that sound helpful to you and your level of writing. The networking is invaluable. • Read – a lot, especially the great writers. You’ll soon come to recognize what excellent writing is. • Enter writing contests; sometimes you get tremendous feedback from judges and you get name recognition, awards, and rewards if you win. • Volunteer to work at your local Book Festivals. They are the ones who will invite you to speak once you’ve been published. You’ll meet some fine people and network with published authors who usually have good advice. • If you write historical fiction, PLEASE, make every effort to assure that your facts are correct and your history is good. • Self-publishing is separate from writing. Not every writer has the time, the talent, or the interest. Both writing and publishing take work. Self-publishing demands the work of both. Even if you land a contract with a traditional publisher, you must still work at self-promotion. • Get an agent. Some writers complain that it is unnecessary and ask why they should give another person a piece of the royalties. My agent, Linda S. Glaz, with Hartline Literary Agency, is my best ally. She knows where my book should be, and she knows the people to send it to, and they respect her opinions. While she’s promoting my novel, I’m free to write. Finding an agent is as difficult as finding a publisher. • For Christian writers. Pray about and for what you are writing. Ask yourself, will this glorify his name? Will it lift up your readers? Will they be a better person for having read what you’ve written? Have you done your absolute best to honor the absolute sacrifice that was made for you? Will you handle rejection with grace and accolades with humility? Susan recently retired after a 41-year career as a communications director, editor, and proofreader. To assist authors to “get it right about horses in their works,” Susan worked with the Long Riders’ Guild Academic Foundation to compile A Writer's Guide to Horses (also known as An Equestrian Writer’s Guide) that can be found at www.lrgaf.org. Forty-five years ago, she married her high school sweetheart, and they have two adult children, one granddaughter, and a granddog. An admitted history nerd, she enjoys researching for her novels, painting, singing, listening to music, and sitting on her porch watching the rabbits and geese eat her daylilies. 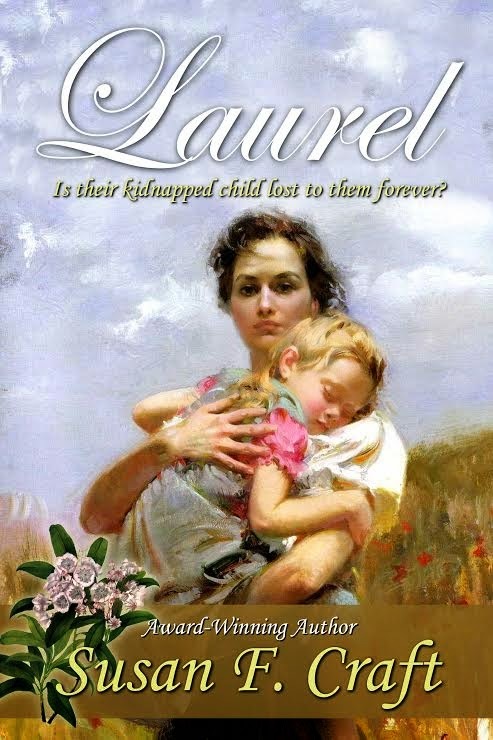 Lighthouse Publishing of the Carolinas will release the sequel to Laurel, entitled Cassia, in September 2015. The Chamomile, the prequel to Laurel, won the Southern Independent Booksellers Alliance Okra Pick. Want to win a copy of Laurel? Leave a comment below. The winner will be announced next week on this site. I will need contact info from the winner at that time. Good luck! As a new writer on the scene, I am still honing my craft. Perhaps I will always be doing that. Growing. Stretching. Trying new techniques. Well, new to me anyway. For my latest project I am working with two points of view. It’s a “his” and “hers” kind of story. I started with my male protagonist. Writing from a male perspective was a challenge for me. I wondered if I could truly get into the head of a male character. I comforted myself with the notion that if Nicholas Sparks can speak from a woman’s point of view then I could surely speak from a man’s. I can at least make him the way my readers hope men think and feel. My character is a pampered twenty-something named Sam. His relationship with his cold, controlling father was always strained at best. But now? His father has died and the resentment boils over when Sam discovers the conditions which must be met in order to inherit the vast estate his father has left him. First, he must live and work on his uncle’s farm for a year. And the girl? Katie, the sweet twenty-year-old farm girl. Her goal is to become a writer. She has no interest in “finding a good man” as her mother wants her to do. And she is certainly not interested in the cocky man named Sam living with the Morganthalers. I know the trick to making this work is to dedicate full chapters to one person’s point of view at a time. In my research I also stumbled upon the use of a third point of view from a mystery character. Someone who is watching, thinking, feeling….a bit scary, I know. But what if I bring a sense of suspense to this novel? So let’s review. I’m drafting a story set in a farm community near the Amish. I have a man, a woman, and a mystery character. I’m looking at a not-quite-Amish-contemporary-romance-suspense novel. This could be one crazy ride. I started the actual writing last week. The word count so far? 8316 words. That’s a bit over a thousand words a day. Be sure to enjoy me next week. 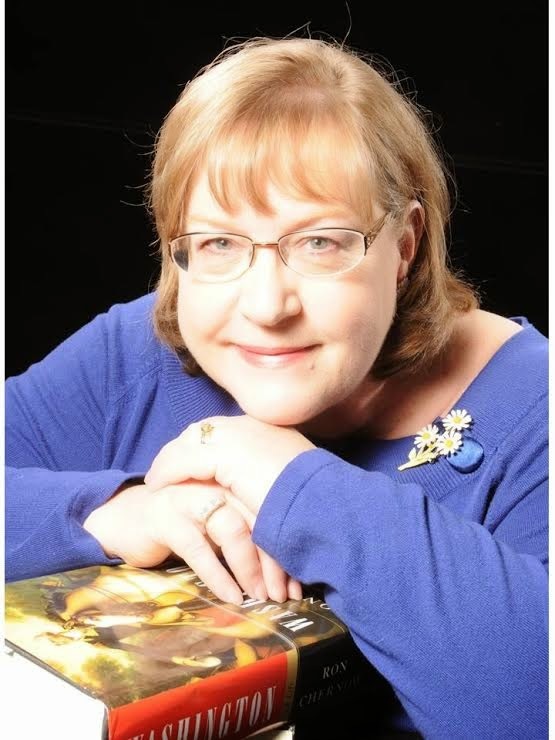 My guest, Susan Craft will inspire you to keep writing! P.S. What do you think of the new look for the site? 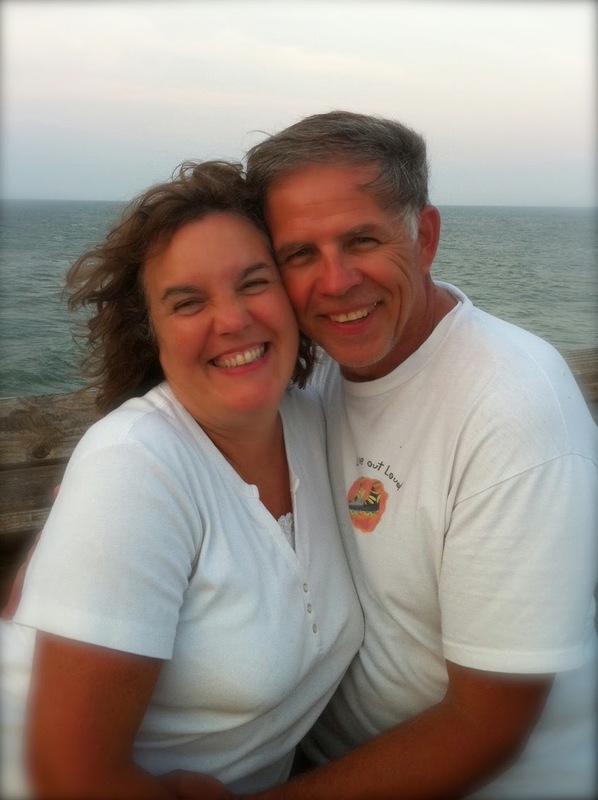 As most of my readers know, my husband died suddenly the last week in October. I was devastated. The last thing on my mind was writing. 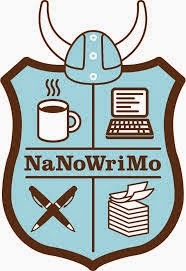 I had planned to participate in the National Novel Writing Month (NaNoWriMo) for the month of November. It is a major project where an author sets a goal to write a novel in one month. During the month of October I outlined the novel, explored the characters, created several points of tension and talked it over with Tom. He grinned as I told him about the male protagonist. He knew he was always my model of a great guy in my stories. And in my life. My NaNoWriMo project was/is a book I call On the Edge of Quiet. 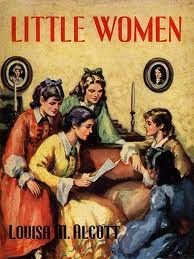 It is a book that is on the edge of being Amish. My next attempt was going to be a mystery or suspense novel. Because I wanted to spend my time writing during November and because I wanted to try my hand at a “cat and mouse” sort of tale in the future, my November blog focused on the mystery and suspense genre. I had it all posted and scheduled when Tom died. That turned out to be a blessing. I didn’t need to think about writing. And I haven’t thought of it since. Not really. I’ve cranked out a few blog posts, polished a few stories in my files and submitted a completed manuscript as well as a children’s book for consideration to a couple of publishers. Nothing really new. I started A Novel Creation to take my readers through the development of a novel. Yes, I try to include a few general posts about writing and marketing. I try to offer a guest post, the interview of another author, or a book review once a month. But the thrust of the blog is to share the writing experience. Now is the time to begin writing again. I looked at all I had proposed for the November novel. I analyzed what I could do to jumpstart a work in progress (WIP) when I haven’t touched the manuscript for over three months. I offer these suggestions to you to jumpstart your own writing. Jumpstarting a stalled work in progress takes more than a jumper cable or a battery charger. 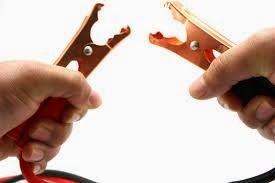 A jumper cable is great for stimulating your writing muscle as in using a prompt (Click here to see this blog on using prompts). I would liken a battery charger to a writing retreat, a time to relax, reflect, and recharge. Step 1: Read what you have already written. Resist the temptation to edit or revise as you read. Simply try to recapture your initial vision for the project. Reading through the few pages I started in October helped me regain a passion for the story. I did see areas for improvement, but that will come later. Step 2: Without looking at your original outline, create a new outline. Once you’ve done that, compare your original with the new. I was surprised how my take on the story had changed from the original concept. Part of that may be shaped by the experiences I have had since I began the project. It could also be that I have grown as a writer or a new perspective has been brewing in the back of my mind over the past three months. Step 3: Reintroduce yourself to your characters. Read the profiles you created for the characters you proposed. With your new perspective, add those characteristics and traits, habits, and physical details you know the characters now need. As I started this process, I found my characters were mostly intact, but I needed to eliminate one of the characters I initially proposed and one character shifted to a less prominent role. Step 4: Revise those glaring errors in what you first put in print. I don’t always recommend revision this early on, preferring to get the story down first (See Hallee Bridgeman's post on writing in layers.). However, in this process of emerging yourself once again in the story, the process serves to move your fingers forward on the keyboard and stimulate your thought process, which leads us to Step 5. Step 5: Write. Write daily. Set a goal for each day. It can be a word count you wish to achieve, a time frame in which to write, or even a scene to be completed. The point is to write. You may delete some or all of it later. That’s okay. You are getting that old writing motor going. And that’s what I call SUCCESS. Well, good old Punxsutawney Phil has done his work for the year. According to the rodent, winter is still upon us. 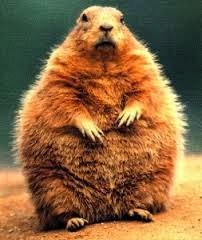 I’ve always thought it funny to read, “The groundhog saw his shadow. We’ll have six more weeks of winter,” when in fact, if he doesn’t see his shadow it’s only six weeks until spring. The simple truth is the spring season will arrive mid March regardless of the animal’s predictions. In fact the meteorological winter runs from March 1-May31 and the spring equinox is on the calendar for March 20. It makes me think about my writing, though. I can put a spin on my character’s actions and give new perspective to the event. I can share my protagonist’s point of view by what she’s thinking and change the reader’s expectations. I can cast shadows with my words, leading my audience down a path of mystery. I have the power to throw a twist into the plot or introduce a shadowy character. Yet, like Phil’s predictions regarding the weather, the end will come one way or the other. The disruptions, the conflicts, the problems the characters in my book face will certainly dissolve like snow into a hopeful and promised end. At least they should. 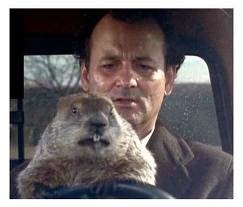 The writers for the movie Groundhog Day featuring Bill Murray knew this. They made the protagonist a smug jerk in the beginning then put him through the torture of reliving the same day over and over until he is humbled and loveable. Funny, but I started writing this post thinking about the way words shape our stories and reshape our thinking. I was nearly through with those thoughts when I remembered I had included a reference to Groundhog Day in Breathing on Her Own. The radio alarm clock, set for 6:00am, sounded with I’ve Got You Babe. It reminded Molly of Groundhog Day. What would happen if Laney had the chance to relive that horrible Friday over and over until she changed her life? Molly lay in bed pondering the possibilities as Travis got ready for work. If I could change the events of today, what would I do? “Interesting,” she said out loud. “What’s interesting?” Travis buttoned his shirt. Travis headed downstairs as Molly fell back on her pillow. Lord, today I want to make deliberate decisions based on what You want, not on what I want. Please. Yep…I'm with you on that one, Molly!